Voter Gravity produces targeted, insightful and immediate information about voters, donors, and activists that mean the most to a campaign. Easily access all of the voter data you need and turn that data into votes. Voter Gravity empowers campaigns to unleash their voter contact efforts, making your strategy bigger, faster, and more targeted than ever before. Contact us to take Voter Gravity for a spin. Quickly create walk lists of up to 500 households at one time with the user-friendly, map-based system to optimize walk routes for the most effective canvassing. Harness the data of your campaign to turn out the right voters. Assign walklists to volunteers with a single click. Create fully customizable surveys that can be appended on the fly. Collect voter data to activate voters when needed. Link door-to-door canvassing with phone banking in real-time. Access clean voter contact information and premium data. Comprehensive call lists can be created in just a few clicks. Predictive dialing can be set-up through system to re-target voters. Track contributions and tag individual contributions. Add notes and social media links to better connect with your key supporters. Access from any smartphone or tablet. Assign volunteers a walk list that enables them to view directions to the next house and enter survey results right into the app. Access all walk lists even if staff or volunteers lose data coverage. Search for any voter from a mobile device, making it easy to recruit volunteers, check-in people at an event or mark voters on election day. Big buttons and smart navigation are welcoming and will appeal to new and seasoned volunteers. Smart features such as one-touch upload ensure voter information is easily recorded and managed for future outreach and action. Voter data entry is quick, easy, and in real-time, allowing for maximum voter interaction time. Less Human Error: The mobile platform encourages data entry resulting in less data loss and better results. 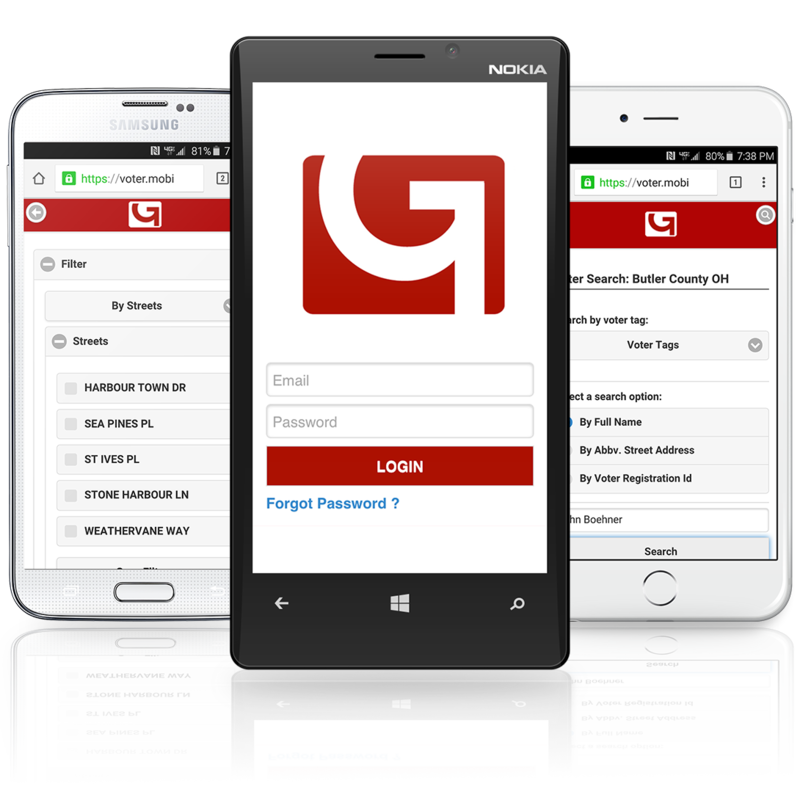 Access the best ESPs, donation software, and web development systems through the Voter Gravity portal. Competitive, transparent and affordable pricing make Voter Gravity accessible to any campaign. Voter Gravity data is cloud-based and highly secure with industry leading protocols. Clients and volunteers are able to receive advice on any part of the system. Our service representatives work campaign hours to make sure users have the support and help you need. Extensive database of every voter within your district. Voter data is continually updated, augmented, and scrubbed. Built by experienced political and technology leaders who understand grassroots campaigning. Pre-loaded with active voter files ready for additional local voter data. For user support and helpful instructions, please follow the button below. If you don’t find what you’re looking for, please feel free to contact us for further assistance. Receive exclusive news, updates and information from Voter Gravity. We want to hear from you! Shoot us your questions and let us know what you’re up to and how we can help.